property sold in 1st day of showing. Open House cancelled Fantastic view suite in Fraserview Terrace! This suite is located in the quietest spot in the complex and looks like a showhome! The kitchen features high-end black walnut cabinets, granite counter tops, laminate floors, with ample windows for lots of natural light, all this overlooking the Fraser River. Upstairs is a huge master bedroom with 9' ceilings and your own private ensuite. Designer paint and fixtures, this home is done to the nine! 2 secured underground parking stalls along with storage. 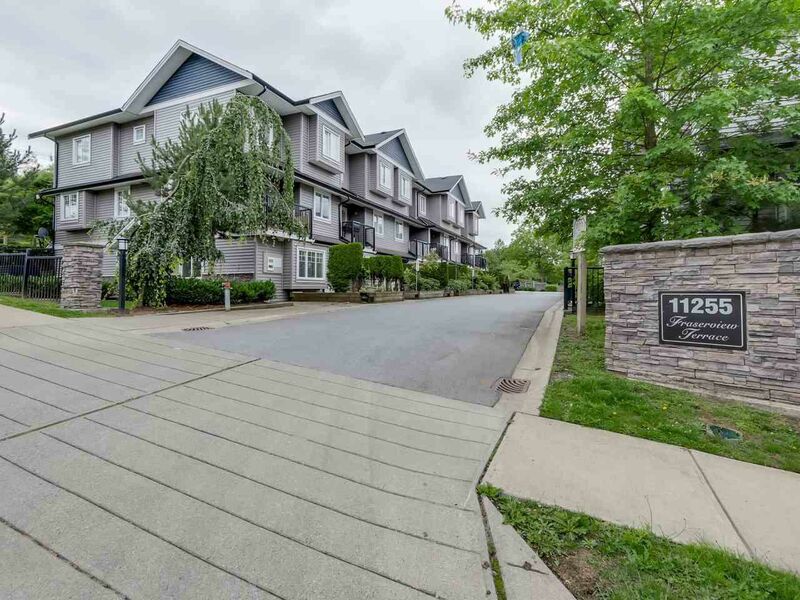 Located within walking distance to Gateway Skytrain and plenty of shopping!